I was born and raised in Chicago, where I studied at the prestigious Art Institute of Chicago. 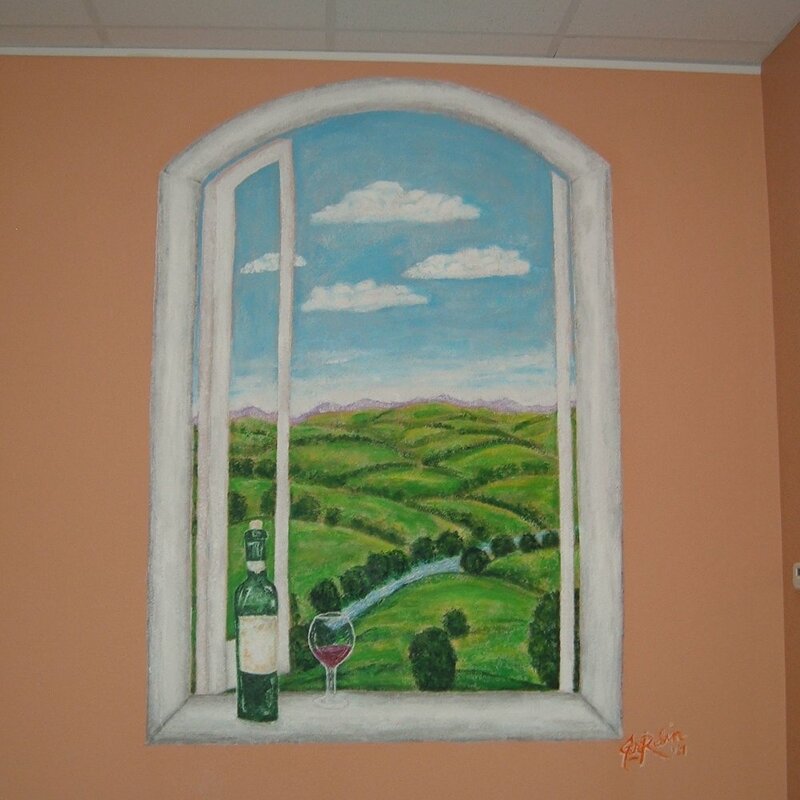 In 1999 I moved to Sedona, Arizona, where I continued to paint numerous murals for businesses and homes. My murals in Sedona, to name a few, can be seen at: Rene's at Tlaquepaque, Art of Wine, Miley's Cafe, Karma Cafe, Indian Gardens Cafe and Market, Red Chopstick, Sedona Library and Sedona Red Rock High School. I also developed and sold 'Nail Sculptures', a mask of thousands of nails overlapping to form faces, classic cars, trains and even your favorite pet's profile. My wife and I now reside in Tucson, Arizona, a city with rich history that clearly appreciates art and murals. I'd love to work with you to bring my art into your home or business. Would you rather your business looks like your competitors', or stand out as you do? Just consider that your place of business is your livelihood and where you spend most of your time. So be it for your restaurant, doctor's or vet's office, flower shop or any other business...a professional exterior or interior mural will draw the attention and clientele you desire. Be it serene faux colors, trompe l'oeil to fool the eye (and change a room's size in appearance) or a custom mural that can be modern or traditional, I can transform your home with my paints and our combined vision. From a few grape vines or flowers to an ocean scene, wooded forest, or wildlife etc., I can paint whatever you like. Prefer a book shelf or window looking out on rolling hills to add depth to a room? It's all possible. Do your children or grandchildren love Star Wars? Sesame Street? Disney Characters? I've painted many children's murals and consider this my specialty, and would love to help you transform your child's bedroom into his/her favorite fantasy world!